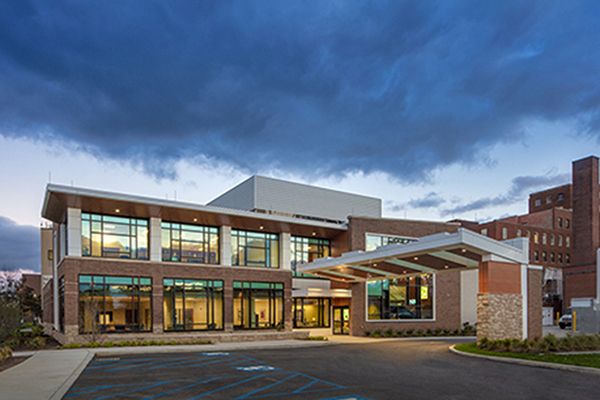 Watertown, NY Samaritan Medical Center has opened the new $16 million Walker Center for Cancer Care designed by The S/L/A/M Collaborative (SLAM) and constructed by Purcell Construction. 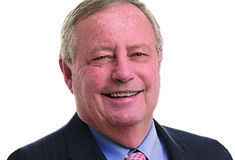 The 17,000 s/f facility brings Medical Oncology Infusion and Radiation Oncology together consolidating all practices within a centralized location that offers a comprehensive and coordinated multi-disciplinary cancer care program to better serve north country New York cancer patients closer to home. The facility’s Mondrian exterior glazing pattern affords abundant natural light; easy and convenient accessibility to staff and support services; and a calm, healing environment. The lobby’s wood finishes and uplifting graphics create comfort for new and returning patients, surrounded by a fireplace seating area, education area, Internet café, boutique, as well as family consult rooms and medical education board room for hosting meetings, trainings and educational seminars. 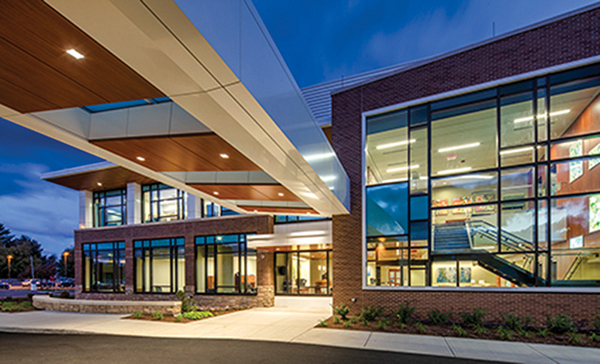 A covered drive-up entrance receives patients and dedicated on-site parking offers privacy and convenience during their visit. 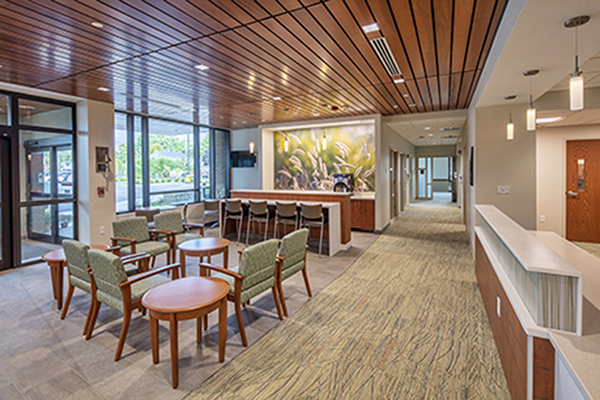 The infusion suite is separated into two wings on the second floor and offers additional privacy with views of the private rooftop healing garden and wind sculptures. In addition to the primary spaces, the center includes its own 797 pharmacy and laboratory. The facility features the latest radiation technology available, a Varian TrueBeam linear accelerator offers targeted treatment with enhanced speed and accuracy.